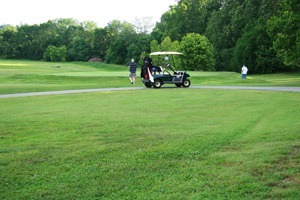 Surprisingly, Washington, DC, is home to some of the best private golf courses in the country. The challenge isn't finding a club to join, but selecting the right one. Here's a list of the top choices. Located in the District, Congressional Country Club has hosted the US Open twice, the PGA Championship once and sponsors the AT&T National PGA tournament every year. It's the favorite of businessmen and politicians, along with many other high-profile Washingtonians. This Jack Nicklaus Signature Golf Course is situated in the rolling hills of Aldie, Virginia, and has won many awards as well as being named the best new private golf club in 2008. Tucked away in the horse country of Maryland, this course offers old world charm as well as challenging holes. 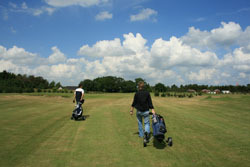 The front nine provides an older feel, while the back nine is more of a modern golf course. If you want to avoid the crowds, this club is an excellent choice. This 18-hole Arnold Palmer Signature Golf Course is located in Ashburn, Virginia. The design specifically incorporates many natural landscape elements, providing the perfect challenge for golfers of all skill levels. As a part of a 600-acre master planned community, the River Creek Country club is ideal for residents and lucky visitors. You can "Play with the Pro" on Fridays, attend plenty of different clinics or just enjoy one of the best courses in the area. All of these courses provide the privacy, exclusivity and challenge many golfers are seeking in an idyllic setting in the greater washington area.